This was the title of the November 11 sermon by Rev. 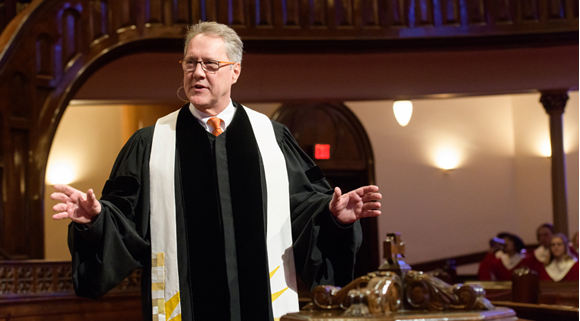 Tim Hart-Andersen, Senior Pastor at Minneapolis’ Westminster Presbyterian Church. Stewardship Moment for Justice was presented by Rev. Dr. Jimmie Hawkins, Director of the Presbyterian Office of Public Witness in Washington, D.C. He discussed the activities of the Office, including its actions to help change the cash-bail system in the U.S. while also combating the silo effect of interacting only with like-minded people. “It’s a good question. Among the 613 laws in the Hebrew Scriptures, he wants to know which is most important. It’s a bottom-line question, and we should listen carefully to the answer Jesus gives. He’s speaking not merely to that Pharisee or to others eager to hear his response. He’s speaking to us [too].”. “Then we notice that the line is longer, and stretches even further. We see the parables of Jesus, the healings, the cross and resurrection, hanging on that line of love. And the line keeps stretching. The letters to the first Christian communities are hanging there, and the words of the early councils of the church. “As we hear the bell toll here in our sanctuary with others across the land marking the Armistice 100 years ago, as we remember and give thanks for those who served and those who died in the Great War, let us also redouble our commitment to strive for the justice and peace that comes from those who follow the highest law: to love God and love neighbor.”. This sermon was especially powerful for me. “The lawyer, however, would not let it end there. He then asked what he thought was another trick question of Jesus, “And who is my neighbor?” Again, the lawyer did not really want to know the answer; instead he wanted Jesus to provide an answer that could also be twisted against him. Again, however, Jesus did not answer directly, but instead told the Parable of the Good Samaritan without the punch line identifying the good neighbor. Once again Jesus asked the lawyer to fill in the blank, this time to identify the good neighbor in the story. The lawyer did just that by saying, ‘The one who had mercy on [the man by the side of the road].’ Jesus then said, ‘Go and do likewise.’ (Luke 10: 29-37)” This Parable is the second foundation of my Christian faith. Today, this precept—”Love God with all your heart, soul, strength and mind and your neighbor as yourself.”—is still the first foundation of my Christian faith. Therefore, I was pleased to hear the same message in this passage of Matthew with the reversal of the roles of Jesus and the lawyer from Luke. Now, the lawyer is posing the question, and Jesus is providing the same answer. I also was pleased and surprised to hear Rev. Hart-Andersen’s add the metaphor of the clothesline when Matthew in the New Revised Standard Version says, “On these two commandments hang all the law and the prophets.” (Emphasis added.) This integrative device made sense to me. 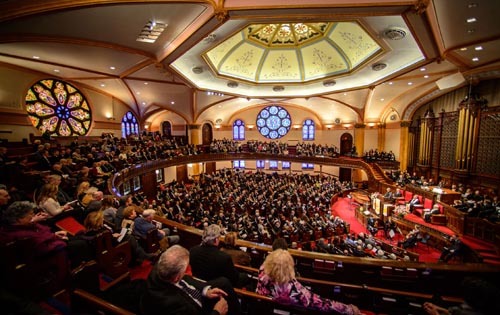 Although I was not a Westminster member during the events in its history that were recounted in the sermon, hearing about them, especially as tied to the Bible with the clothesline metaphor brought tears to my eyes. Returning to the Parable of the Good Samaritan, one of the lessons of this story for me is that your neighbor whom you should love as yourself is anyone and everyone and that they can appear when you least expect them. That sets forth a daunting assignment. I have never met this challenge and never can. That leads to the third foundation of my Christian faith. God knows that we fail and yet forgives us. The most powerful statement of God’s forgiveness comes in another story by Jesus, The Parable of the Prodigal Son (Luke 15: 11-31), . As an only son and as a father of two sons, I see myself in this story as the older, resentful son as well as the younger, lost son and more recently as the father. The text of the sermon and the bulletin for the service are available on the church’s website. 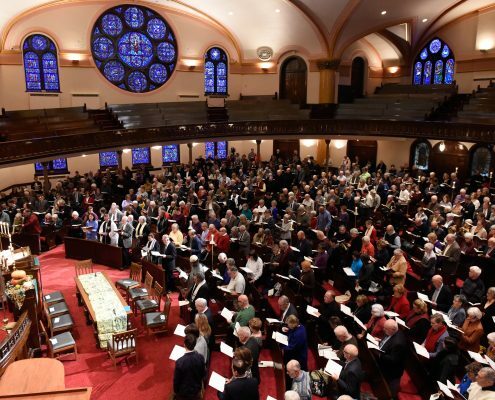 This service also included the installation of Rev. Alanna Simone Tyler as Associate Pastor for Justice and Mission, which will be covered in a separate post. My Christian Faith, dwkcommentaries.com (April 6, 2011). This was the title of the November 4 sermon by Executive Associate Pastor, Rev. 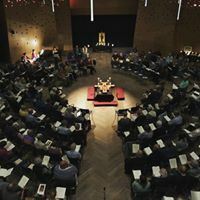 Meghan K. Gage-Finn, at Minneapolis’ Westminster Presbyterian Church’s “Gathered at Five,” a casual, conversational worship service at 5:00 pm. The location: Westminster Hall in the church’s new addition. Below are photographs of Rev. Gage-Finn and the Hall. What is my understanding of the situation and its potential outcomes? What are my fears and what are my hopes? What are the trade-offs I am willing to make and not willing to make? 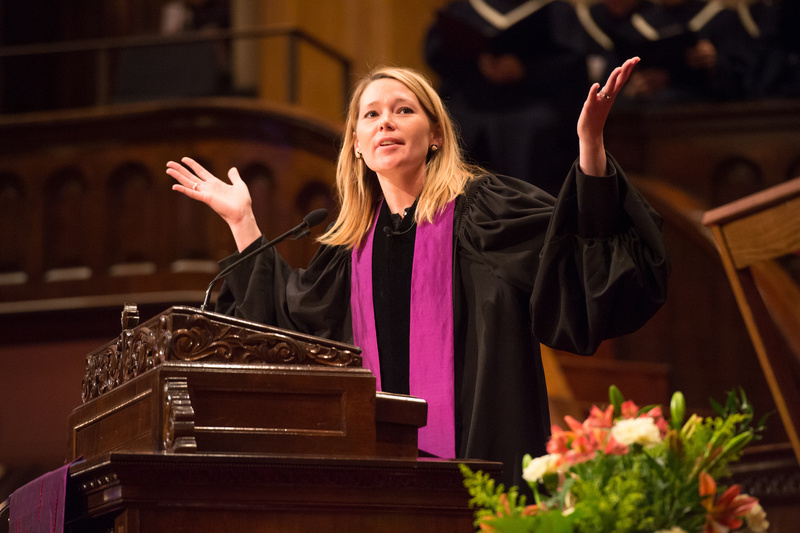 This sermon had a surprising and different slant than that of Rev. Tim Hart-Andersen’s sermon (What Endures?) at the morning service. “What is my understanding of the situation and its potential outcomes? What is the course of action that best serves that understanding? This concentration on societal and political problems, while understandable, can lead to reading and studying about the problems and to a sense of hopelessness. What can I do as one individual to combat such large problems? Instead, I suggest, we should focus on what can I do in my everyday life to combat these problems? And is there at least one of these problems where I can get more deeply involved by studying and getting active in a group that attacks the problem? For me, blogging about law, politics, religion and history is one way to study and advocate for change on these and other issues. I also am active in various Westminster programs that address some of these issues. And I make financial contributions to groups that concentrate on these issues, including the Equal Justice Initiative, a nonprofit law organization that has challenged mass incarceration, excessive punishment, imposition of death penalty, abuse of children, and discrimination against the poor and disabled; Advocates for Human Rights; Center for Victims of Torture; American Refugee Committee; immigrant Law Center; Amnesty International; Human Rights Watch; Center for Constitutional Rights; American Civil Liberties Union; and Center for Justice and Accountability. I urge others to add these groups to their charitable contributions. In my everyday life, I seek to smile and greet people, regardless of race, I encounter while walking downtown. The Isaiah passage also poses even more challenging personal questions: What am I trapped by in my life and what happens when I am released from these burdens? Wines, Commentary on Ruth 1: 1-18, Preach this Week (Nov. 1, 2015). Henri J. Nouwen & Michael Ford. The Dance of Life: Weaving Sorrows and Blessings into One Joyful Step. (Notre Dame, IN: Ave Maria Press) 2005, p. 56. Lewis, For All The Saints, Dear Working Preacher (Oct. 29, 2018). 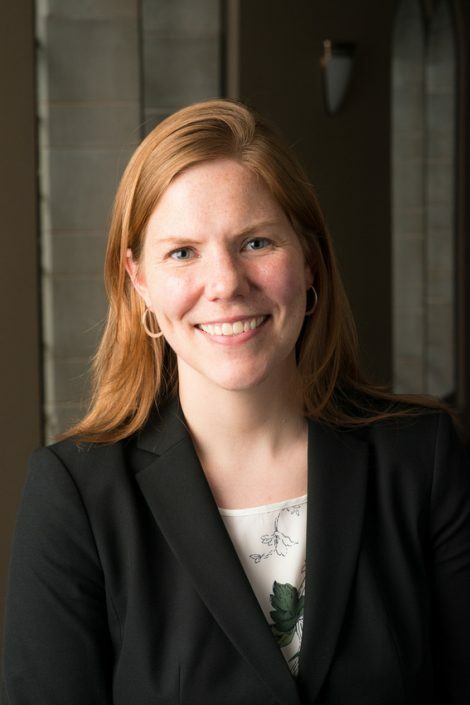 This was the title of the October 21 sermon by Associate Pastor Sarah Brouwer at Minneapolis’ Westminster Presbyterian Church. Below are photographs of Rev. Brouwer and of the church’s front entrance. One: O God, we confess that we need to approach the world differently, and, with your help, turn our judgments into acts of grace. All: Help us to show grace to one another, and ourselves, O God. One: As we pray, and name those things we are not proud of, we encounter all of the insecurity and fear that keeps us from loving ourselves and one another. All: Help us to trust in your forgiveness, O God. One: The Spirit leads us to seek and name the truth; in turn we can begin to reconcile, and heal wounds kept invisible. All: Help us to rely on your Spirit, O God. One: Injustice continues, and because of our privilege we are able to tune it out, and leave those who suffer in our wake of ignorance. All: Help us to pay attention and engage in the work of justice and peace, O God. One: We come together to confess, to support one another in the hard work of being honest, and to marvel at the gift of God’s grace. The setting of this encounter is important. The Sea of Tiberius was also known as the Sea of Galilee, where so many important events in Jesus’ life had occurred. This was news to me. Peter and the others clearly were grieving Jesus’ crucifixion and perhaps were feeling abandoned and as a result perhaps were turning away from being His disciples and instead returning to their previous occupation of fishing. Sensing all of this, Jesus out of love for them appears on the shore to make their breakfast and produces the large catch on the last try. Jesus then challenges Peter three times with the question, “Simon, son of John, do you love me? “ Peter’s repeated response, “Yes, Lord, you know that I love you,” shows that he did not understand why Jesus was asking despite the clues provided by Jesus —“Feed my lambs,” “Tend my sheep,” and “ Feed my sheep.” These responses are telling Peter to return to being His disciple, rather than fishing. That is how Peter and everyone else should demonstrate love for Jesus —by their acts of love for others–not mouthing words of love to Jesus. The bulletin for this service is available on the church’s website. Sermon, Do You Love Me? (Oct. 21: 2018). This extract deletes the pastor’s personal observations that parallel those of the disciples. This blogger would appreciate comments from biblical scholars about the validity of his reactions to this biblical passage. This was the title of the October 14th sermon by Minneapolis’ Westminster Presbyterian Church’s Senior Pastor, Rev. Tim Hart-Andersen. The second part of the service—Listening for the Word– included the reading the Scriptural passages for the day and the sermon. 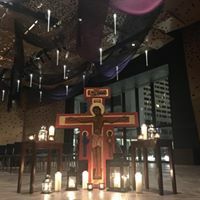 The third and final part of the service—Responding to the Word—included the Pastoral Prayer and The Lord’s Prayer; the Moment for Stewardship; the Offertory; the Charge and Benediction; and the Passing of the Peace. Again this sermon reminds all of us that Jesus demands that we speak out and take action against injustice. This sometimes mean we have to break with order and process and protocol. We need to stand up and rock the boat!